An elegant design with a contemporary twist. The design features a lace style scroll which can be classic or contemporary depending on the colour chosen. 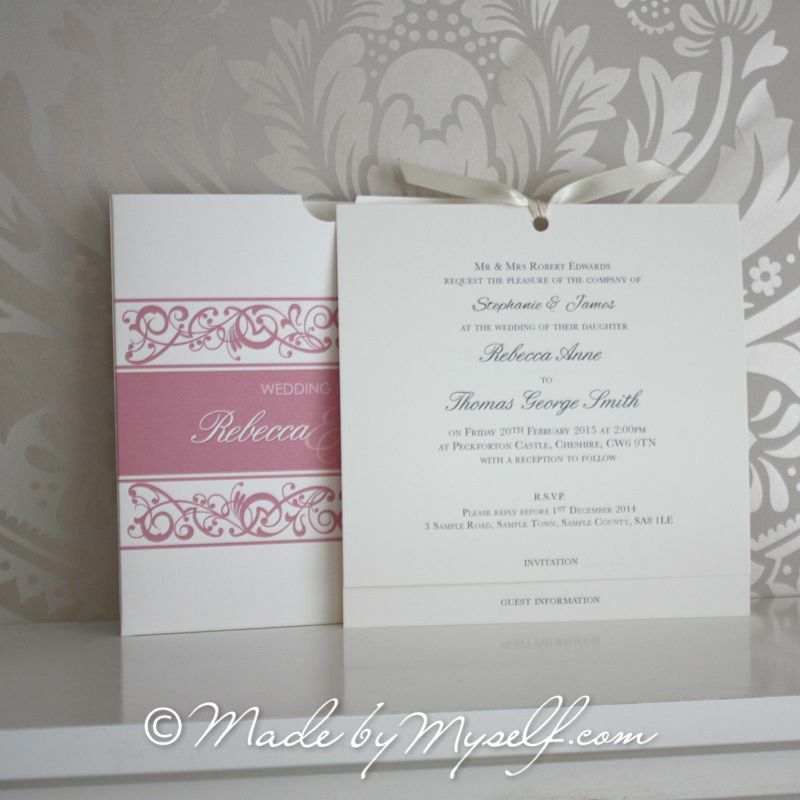 A beautiful high quality card printed with your wedding invitation wording slides out of a stunning pocket. 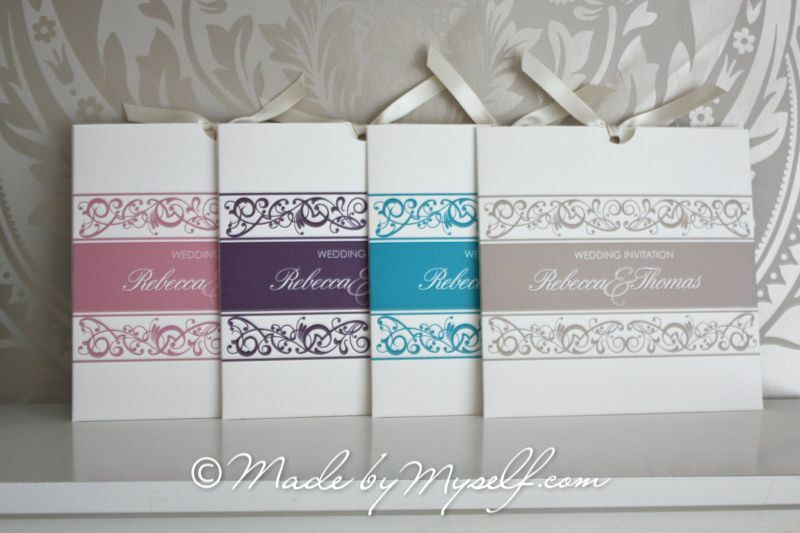 The pocket is personalised with the bride and groom names and includes a stunning scroll pattern that is printed so can be created in any colour to match your colour scheme. The wording can change to accommodate your requirements and a second insert sheet can be added for an additional cost. Supplied with luxury envelope. 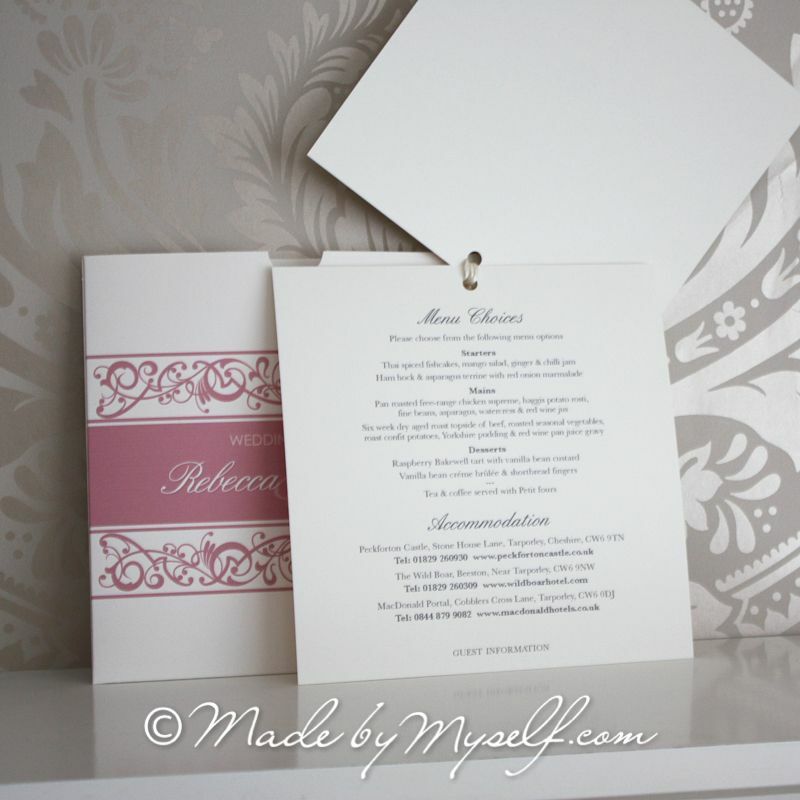 A second insert sheet to include other guest information can be added to this invitation for an extra £0.50 per invite. This information could include Website Address, Accommodation List, Gift List, Taxi Numbers, etc. The options are endless although please be aware that only a certain amount of information can fit onto one insert. Adding a mini R.S.V.P. and mini preprinted envelope makes it much easier for your guests to reply quickly. The mini R.S.V.P. is printed onto a smaller matching card and includes a mini return envelope with pre-printed address for your guests to return the R.S.V.P. If you select this option, we will contact you to find out what return address to use (whether this be your own or your parents address). (+£0.80). Guest name printing is available at £0.35 extra per invite (we will email you a form for you to complete if you require this service). Guest envelope addressing: An elegant touch to complete your invitation and a true time saver! This service is charged at £0.35 extra per invite (we will email you a form for you to complete if you require this service). 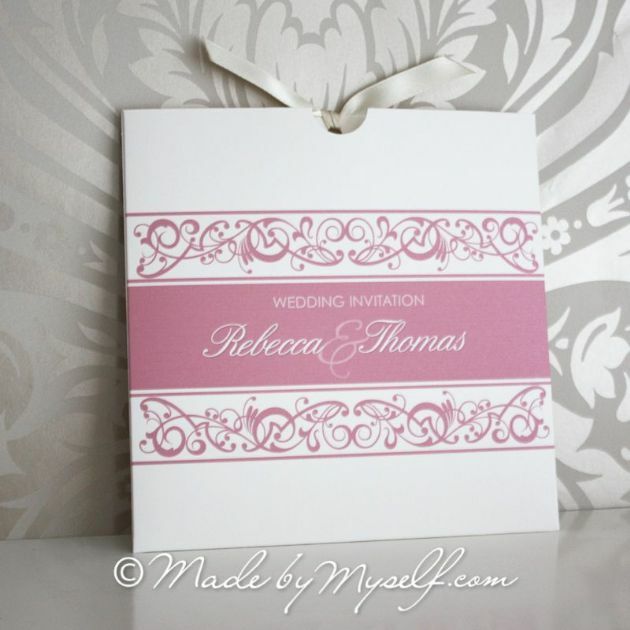 The following accessories are available to match any wedding invitation design.